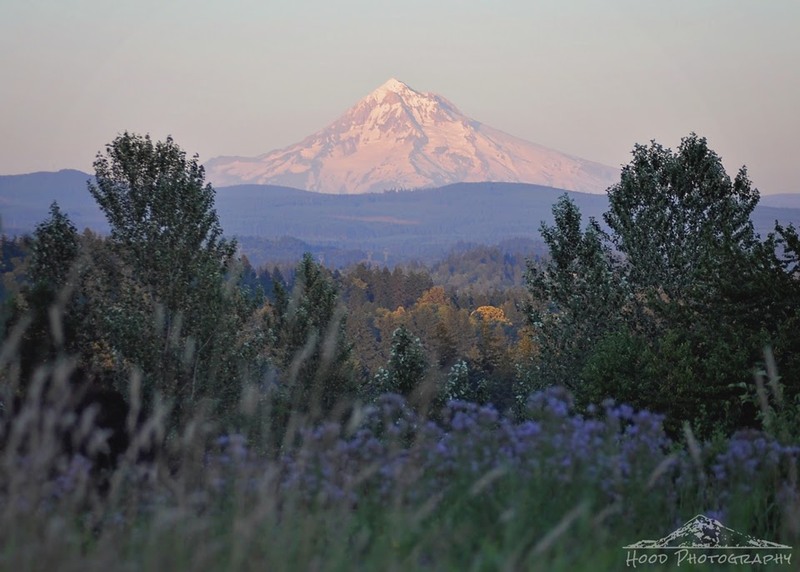 I had never visited Sunrise Park in Troutdale, OR before, but heard about it's pretty view of Mt Hood online, so I decided to head out that way with my son for our nightly walk at dusk. The pink hues of the sun going down behind us reflecting off the snow on the mountain did not disappoint! This looks great. A fine photo of an impressive view. The mountain is so beautiful! Love the blurred flowers in the foreground. Beautiful majestic mountains! Top notch photograph. Very scenic view. Wow very impressive, reminds me a little of NZ!